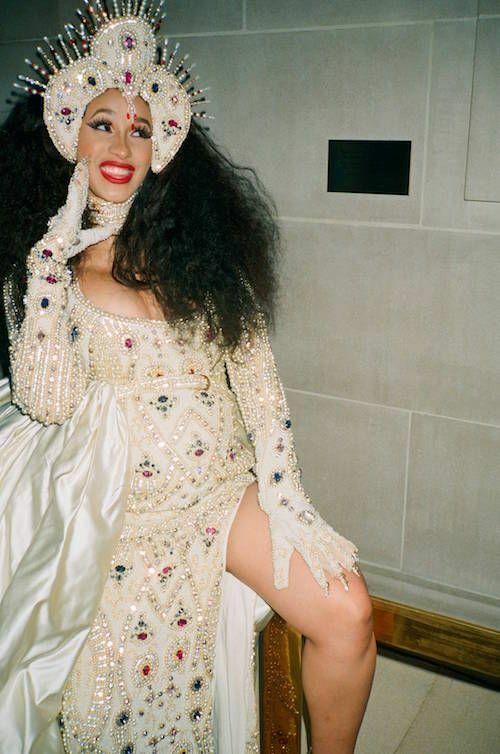 Cardi B. Teases A Wedding In 'Be Careful' Video Peek, Wins Billboard Award For Top Female Rap Artist! Cardi is killing it right now. She just won her first BBMA for Top Female Rap Artist! She beat out "Cash Me Outside" chick Bad Bahbie who some type of way got nominated too. So why not keep the buzz going with the new video for her Invasion of Privacy cut "Be Careful"? The track definitely seems to be a personal one for Bardi, who warns her lover to stop being a f**boi and playing with her heart. The video doesn't drop till tomorrow, but here's the sneak peek. Next drop for Cardi will be the video for her collabo with Jennifer Lopez and DJ Khaled, "Dinero." Jenny revealed tonight at the BBMAs it drps this Thursday. Cardi was nominated for 8 Billboard Awards tonight, and she interestingly lost Top New Artist to Taylor Swift. Yes, this is after knocking Taylor out the Billboard Hot 100 spot last year with "Bodak Yellow" and beating her APPLE streaming record. No response from Cardi yet. She has bigger priorities to handle tonight.